Mr. Clayton is a principal in the firm and has been so since its inception. The focus of Mr. Clayton’s practice of law is in the area of Real Estate and Business matters. The scope of representation includes both transactional and litigation matters. His experience in these areas spans over 40 years. He represents a broad range of clients. This includes individuals, public and private small businesses, religious and nonreligious not for profit organizations, as well as their principals and representatives to develop, advance, negotiate, assert and defend their interests. Mr. Clayton also serves as a professional neutral, mediator and arbitrator providing an outlet for attorneys and their clients to obtain a resolution based result to their dispute. Mr. Clayton is admitted to practice in all of the courts of the state of California, the United States Court of Appeals for the Ninth Circuit, and the United States District Court for the Northern, Eastern, Southern and Central Districts of California. Mr. Clayton is also admitted to practice before the United States Supreme Court. 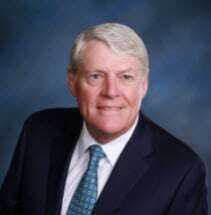 Mr. Clayton is a graduate of Santa Clara University, having received his juris doctorate in 1974 and his Bachelor of Science and Commerce, marketing degree in 1971. In 2006 Mr. Clayton was honored by the Santa Clara University School of Law with the Owens Lawyer of the Year Award. In 2016, Mr. Clayton was honored by the Santa Clara County Bar Association with the Justice Byrl R. Salsman Award for contributions to the community and to the profession. Mr. Clayton is active in the community, having served on various boards and commissions in the City of San Jose for over the past 30 years including the parking commission, the downtown transit task force, the San Jose Arena Authority, and the San Jose Sports Hall of Fame. In addition to his civic involvement, Mr. Clayton has been active in the Santa Clara County Bar Association and State Bar Association in various committee capacities and educational seminars. Mr. Clayton remains active with the Santa Clara University School of law as a member of the Alumni Board.